The third molars are also called wisdom teeth. These are always the last teeth to grow and they typically appear in the age range of 17-25 years. When wisdom teeth aren’t able to grow out completely in the mouth they are referred to as impacted wisdom teeth. 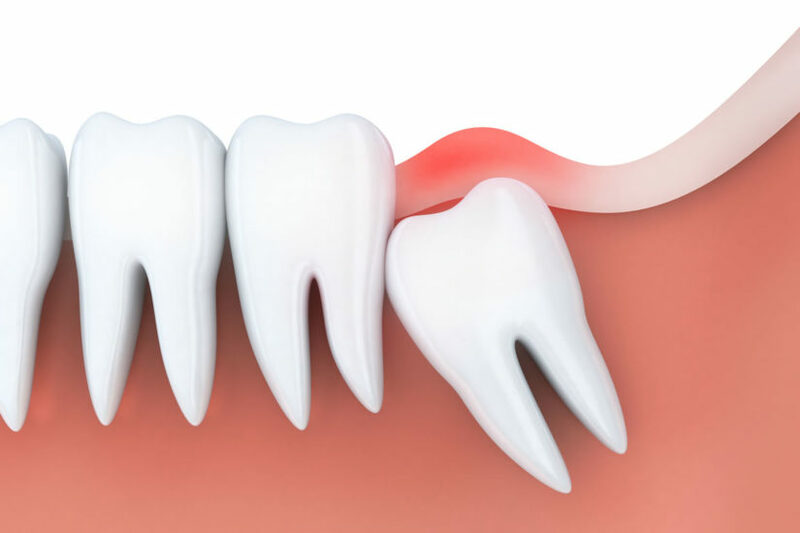 Insufficient space makes it difficult for the tooth to grow out normally through the gums and nine out of 10 people tend to have at least one impacted wisdom tooth. At Life Smile Dental by Dr. Navarrete, we provide a wide range of specialty dental care including Wisdom Tooth Extractions for the community of Hialeah, FL. Why Are Wisdom Tooth Extractions Necessary? If left in the mouth, impacted wisdom teeth can become infected and cause significant damage to the adjacent teeth too. Since it isn’t very easy to clean the back of mouth while brushing, the space where the third molar is supposed to be tends to invite bacteria, ultimately resulting in gum disease. Oral bacteria can travel through to the bloodstream, causing systemic illnesses and infections that affect the heart, kidneys and other organs as well. In some cases, a fluid-filled cyst can form around the base of the untreated wisdom tooth. If this cyst is left unattended, it can hollow out the jaw, causing damage to nerves and adjacent teeth. The best solution is to extract the impacted or affected wisdom tooth. Do Unaffected Wisdom Teeth Need To Be Removed? The common understanding is that if wisdom teeth aren’t causing any pain, there is no infection or other problems,you don’t really need to be concerned about them. However, the fact is that even when a wisdom tooth grows out normally, it’s more prone to disease. Our experienced dentists at Life Smile Dental use state of the art technology in all dental procedures and are here to help with all types of dental problems. For information on Wisdom Tooth Extractions in the area of Hialeah FL and any other dental services, feel free to contact Life Smile Dental by Dr. Navarreteat (305) 558-6832 or request an appointment via this page.